They came, they ran, and they nailed it … A world record, a gruelling one million metres underfoot and $300,000 raised to enable significant improvements in the management of melanoma patients at RBWH. Twelve doctors from all over Queensland trained and raised funds for nine months ahead of the gruelling three-day challenge in October where they ran one million meters on treadmills at RBWH in the fastest time ever recorded. If fact, the team smashed the world record by more than 11 hours completing the mammoth run in 71 hours 41 min and 11 sec. Million Metres for Melanoma had its beginnings in April 2014 when 31-year-old Phoebe Eales had a mole removed during a regular skin check. It was melanoma. After countless check-ups, scans and therapy Phoebe’s battle with melanoma ended just over a year later when this aggressive disease took her life. During her final days, she reached out to her brother-in-law Chris Conyard asking him to help others who were also fighting melanoma. 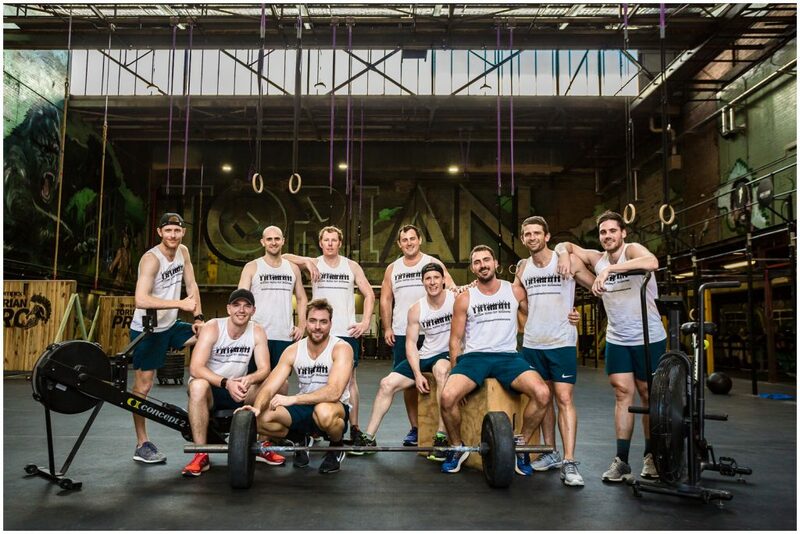 Taking up the challenge, in April 2016, Chris and eleven of his mates completed the first Million Metres for Melanoma challenge, breaking the world record for the fastest team to row one million metres on an indoor rowing machine. Through this campaign they raised over $132,000 for melanoma research in Melbourne in memory of Phoebe. This year, Chris persuaded 11 other doctors to join him in a new million metres challenge and approached RBWH Foundation so they could raise funds to benefit melanoma patients in Queensland. Fundraising was frenetic with more than $300,000 flooding in through donations to each doctor’s online fundraising pages, sponsorship, donations at the hospital, and a gala dinner held on 22 September. The team actually exceeded its fundraising target by $50,000. At a special presentation held in the hospital at the end of the world record-breaking challenge, the team thanked its supporters and sponsors saying they were blown away by the generosity they received since beginning the campaign. RBWH Foundation would also like to thank all those supporters as well as all 12 members of the Million Metres for Melanoma team – Chris Conyard, Nathan Schaefer, Andrew Little, Johnathon Alcock, Matt Ogorman, Marty Misevski, Grant Menegon, Aaron Griffin, Tom Beaton, Joel Matthews, Simon Van Rosendal and Justin Gibbs. Congratulations on a tremendous effort.